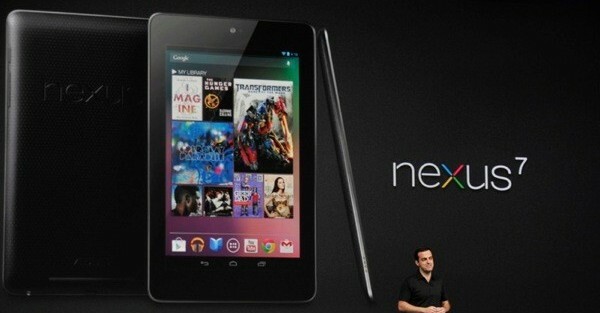 The 7-inch tablet Nexus 7 is the first tablet available in the market to wear Google’s Nexus brand. It is smaller than iPad but both of them do the same things, they are useful, fast, and fun. Definitely, Nexus 7 is the number one contender in the 7-inch tablet category, and it can also compete with 10-inch tablets. Nexus 7 is powered by a 1.3 GHz quad-core Tegra 3 processor that makes this innovation more faster, smarter, and powerful. It is using NVIDIA GPU and running in Android 4.1 A.k.a Jelly Bean. Nexus 7 supports NFC (Near Field Communication) and it has 1GB of RAM and a 1.2 MP front facing camera. With all these powerful innovations, Nexus 7 can be bought only for $199 with 8GB storage. Indeed, Nexus 7 is cheaper than iPad. However, with $199, you can also buy the Amazon Kindle Fire and Barnes & Noble’s Nook tablet with the same storage capacity.